Utah is known for ‘the best snow on earth’ and Vail Resorts has linked two of North America’s greatest ski areas, creating the largest resort in the United States with 7,300 acres of skiable terrain. Park City is also central to some of the best powder skiing in the world including Alta/Snowbird 45 mins, Solitude and Brighton 45 mins Snow Basin 60 mins, Powder mountain 80 mins, Sundance 60 min and of course Deer Valley and Park City mountain (incorporating Canyons) on your door step. Home to everything from casual family-style eateries to award-winning fine dining establishments, the town of Park City is a gourmet mecca. 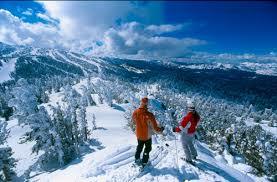 Park City also offers a vibrant nightlife with many bars, pubs and nightclubs. If you are looking for après ski, live music or a quiet table at a wine bar, the town of Park City is the place. Visit the Visit the Park City Restaurant Association website for a list of restaurants and bars. 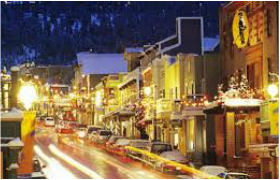 The town of Park City offers shopping from small boutiques and galleries on historic Main Street to the variety of well known brand stores at the Tanger Outlet Mall, with factory stores from Nike, Polo, Gap, Banana Republic, Old Navy and more. ﻿From the moment you gaze upon the quaint alpine town in the Wasatch Mountains, it hits you: this is going to be memorable. Scoop up a handful of the soft, powdery snow that makes our winters legendary. Enjoy days and nights filled with exceptional food, endless recreation and enduring impressions.